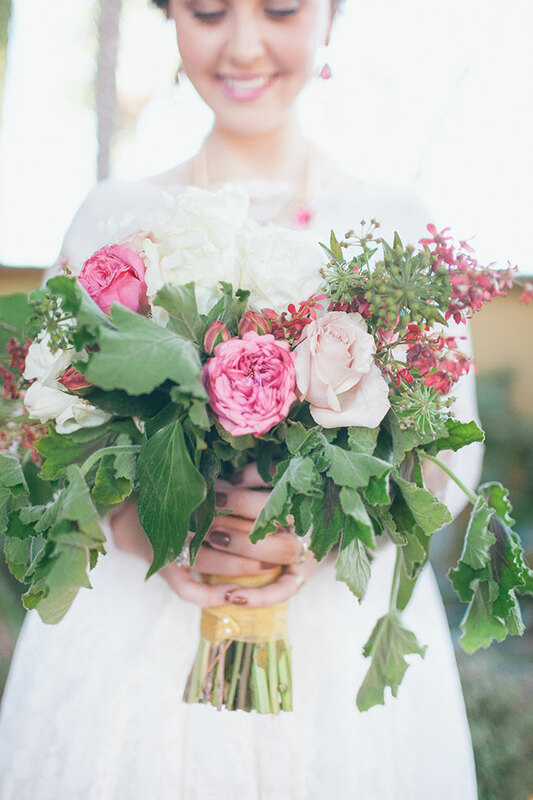 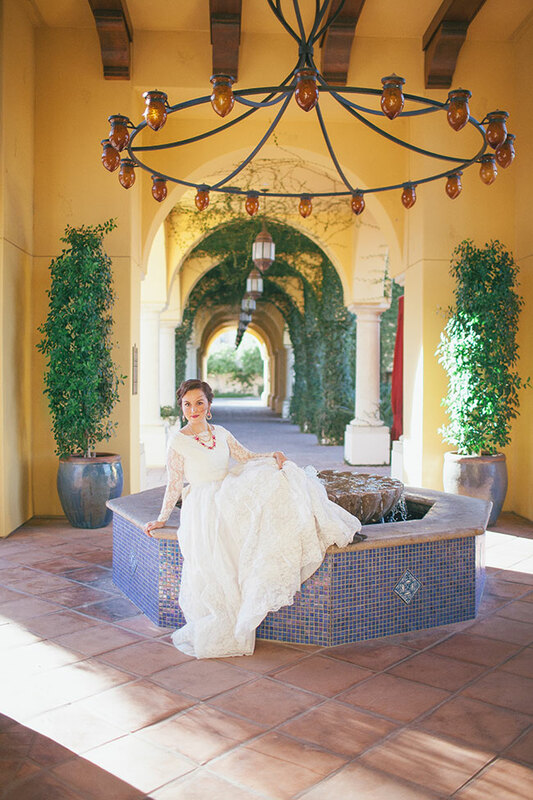 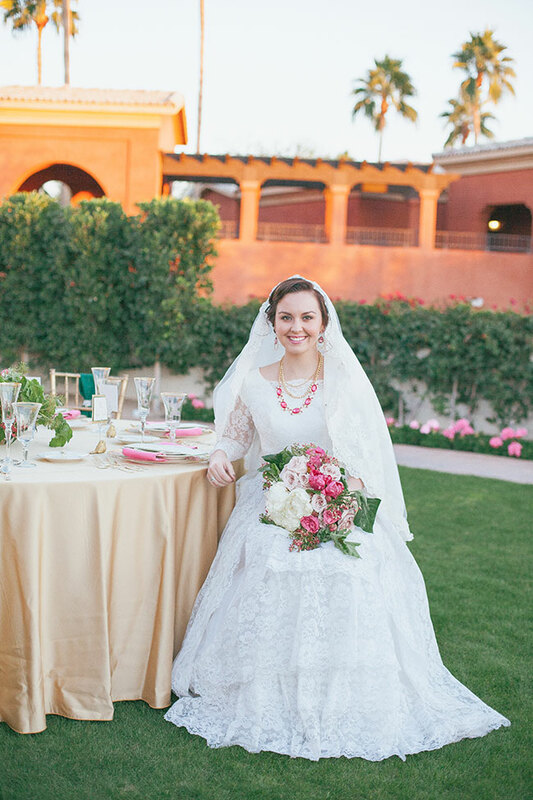 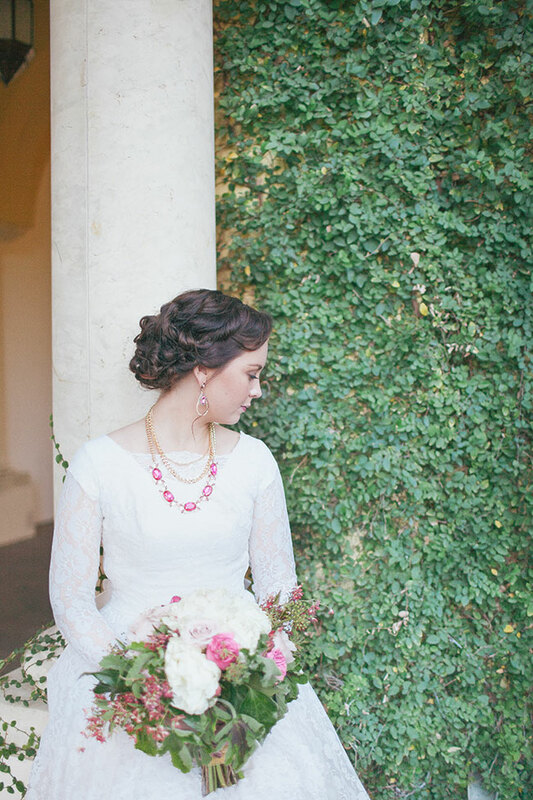 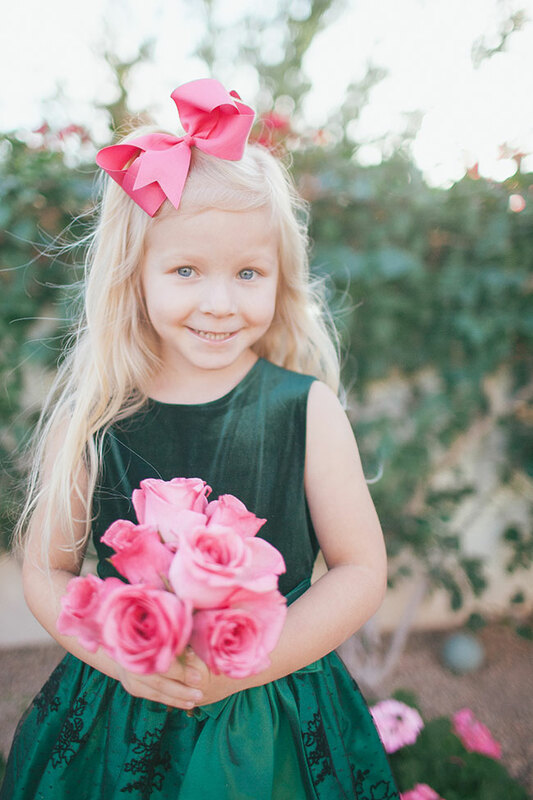 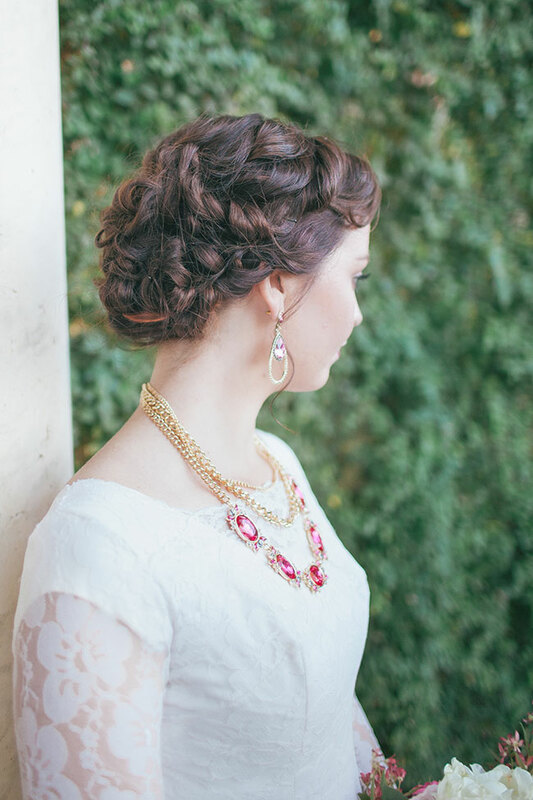 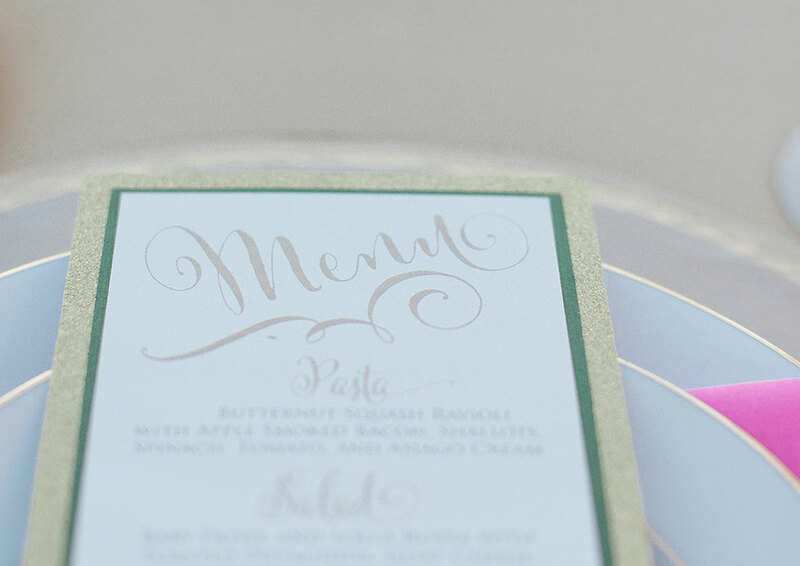 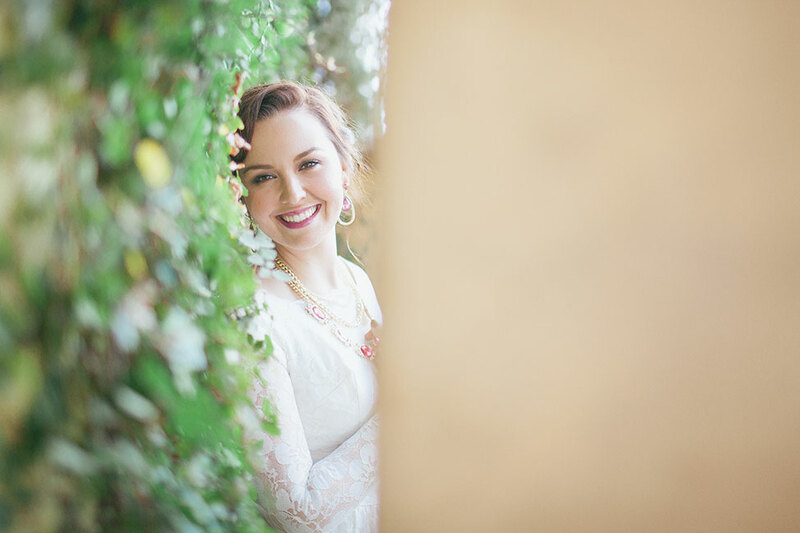 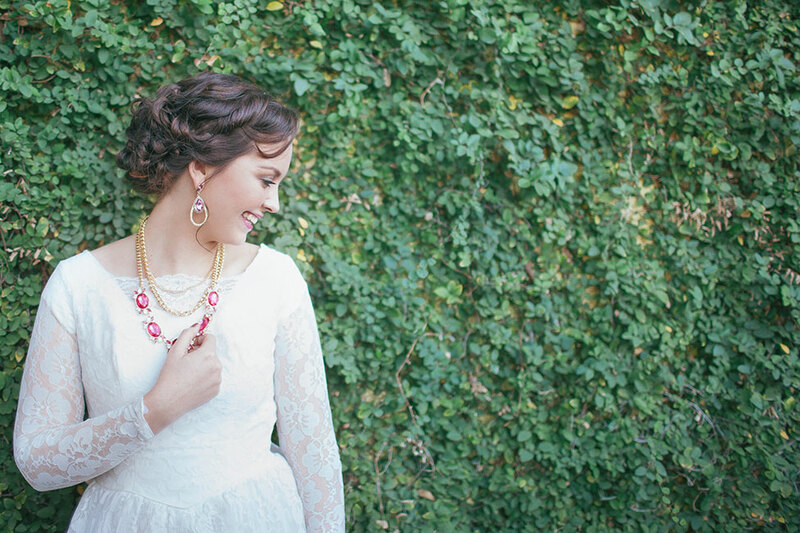 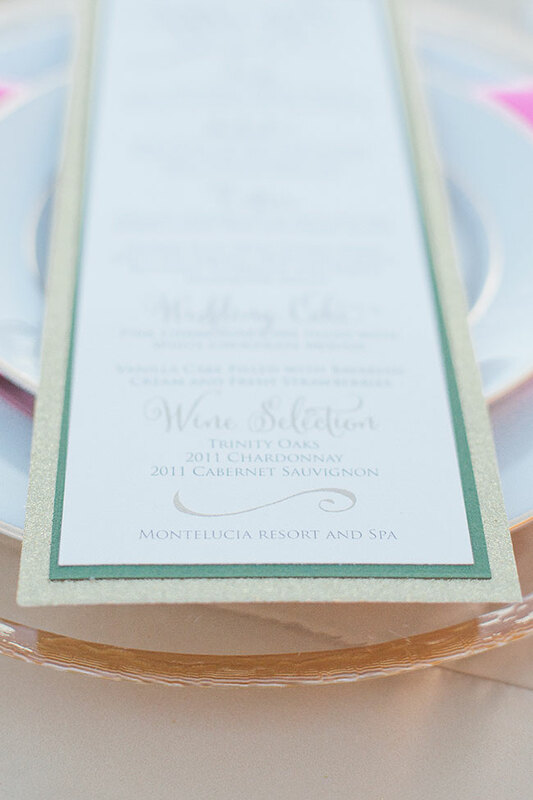 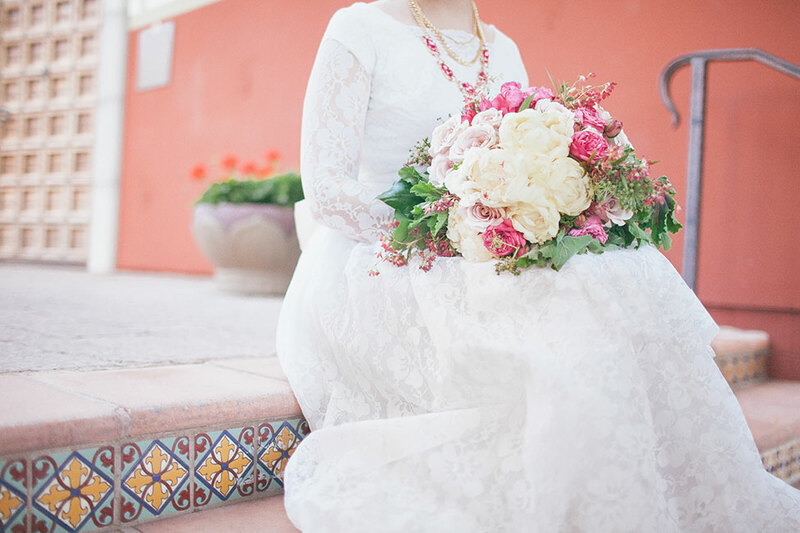 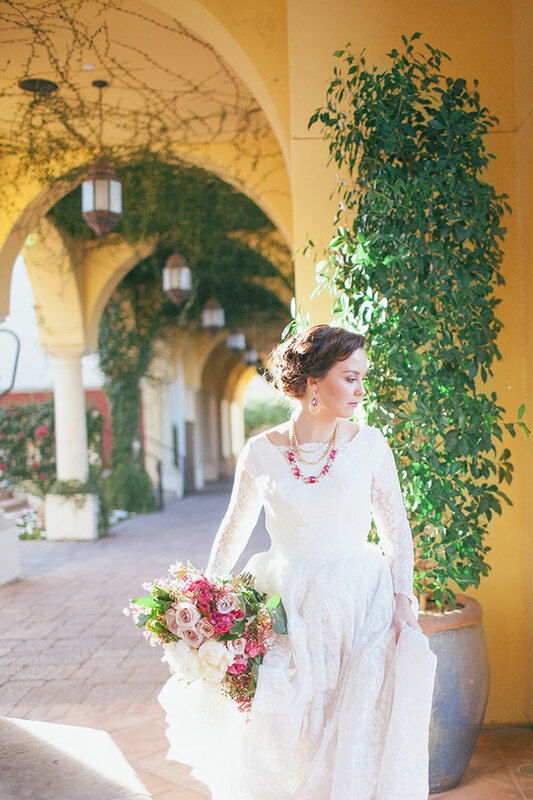 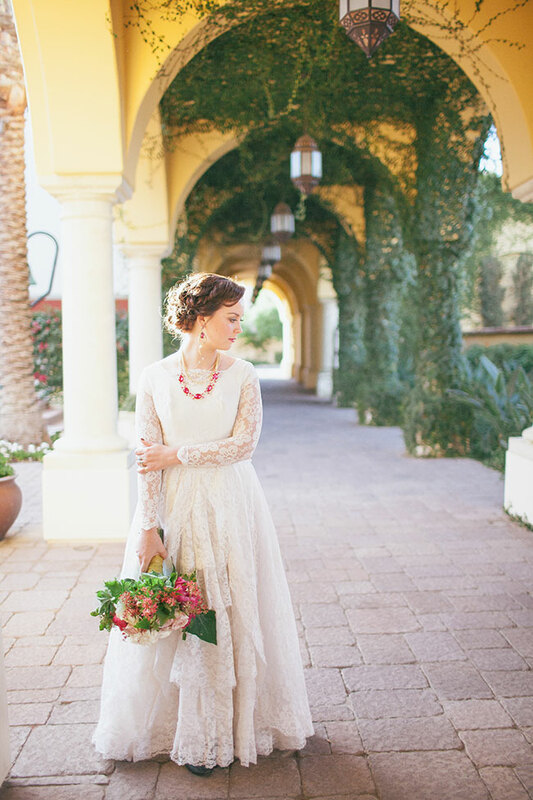 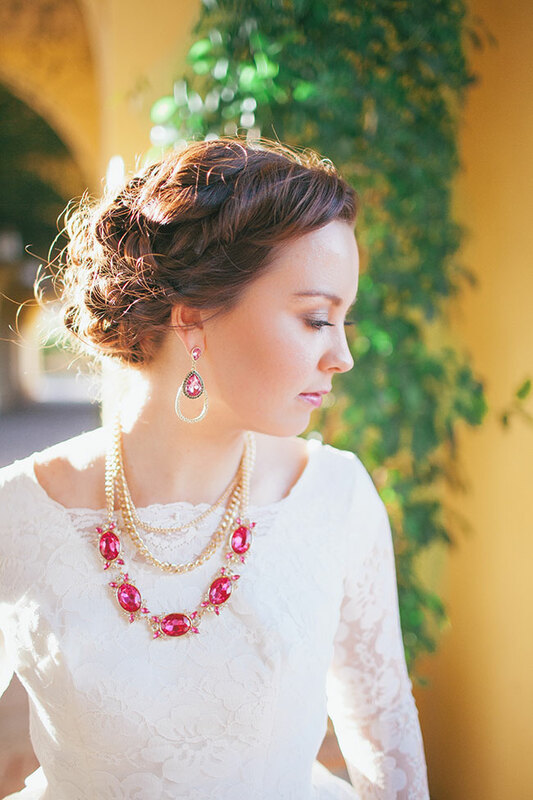 Today’s feature, from wedding photographer April Maura Photography, is all about injecting bold colors and bright details into a unique lush desert like southwestern wedding! 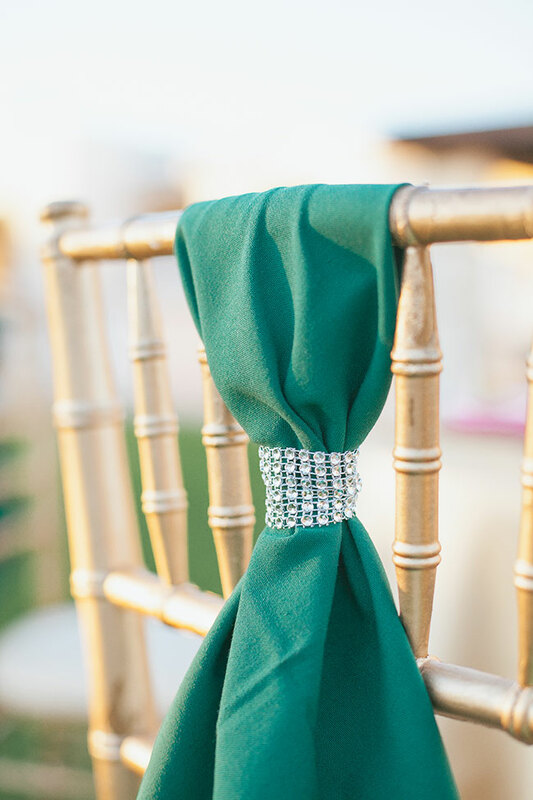 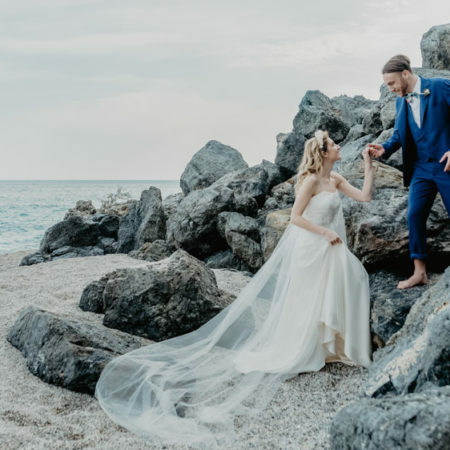 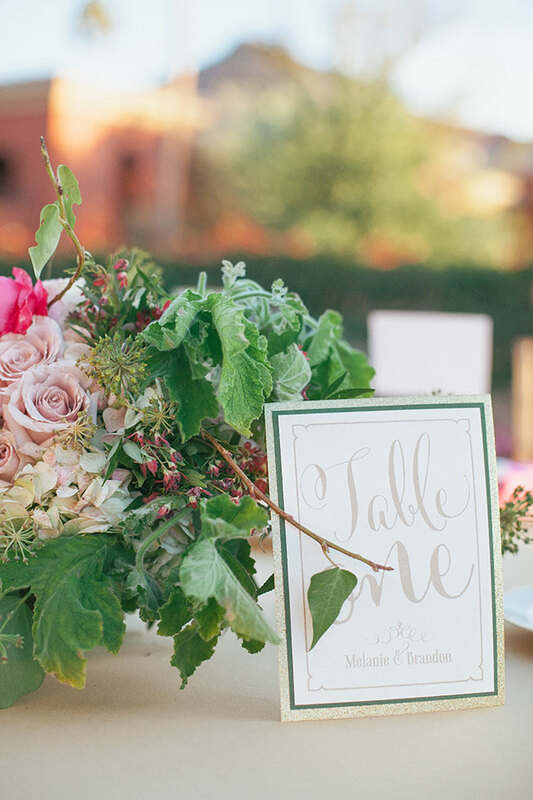 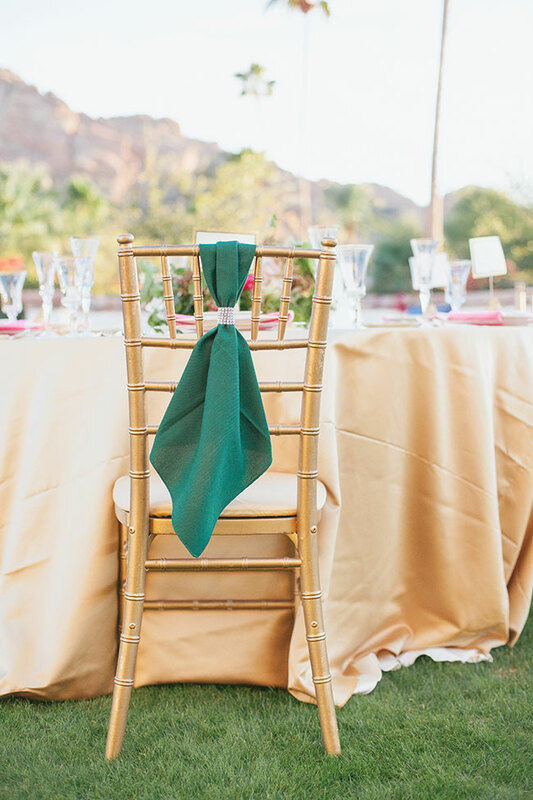 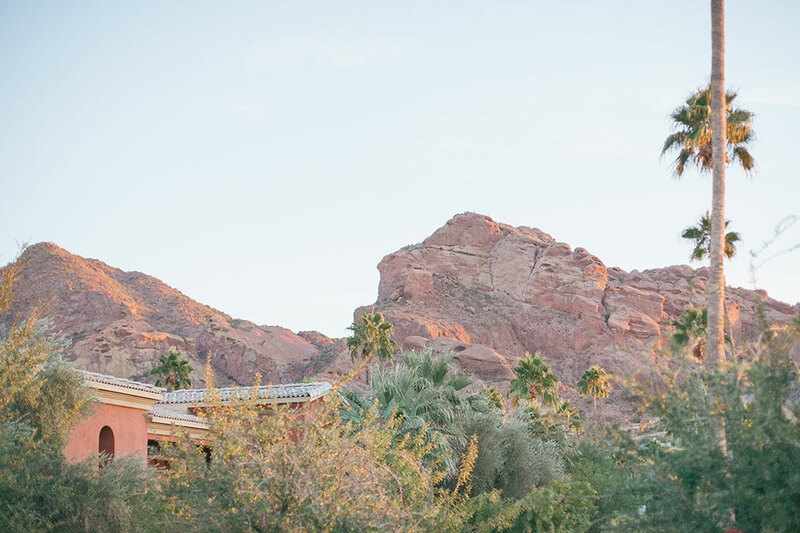 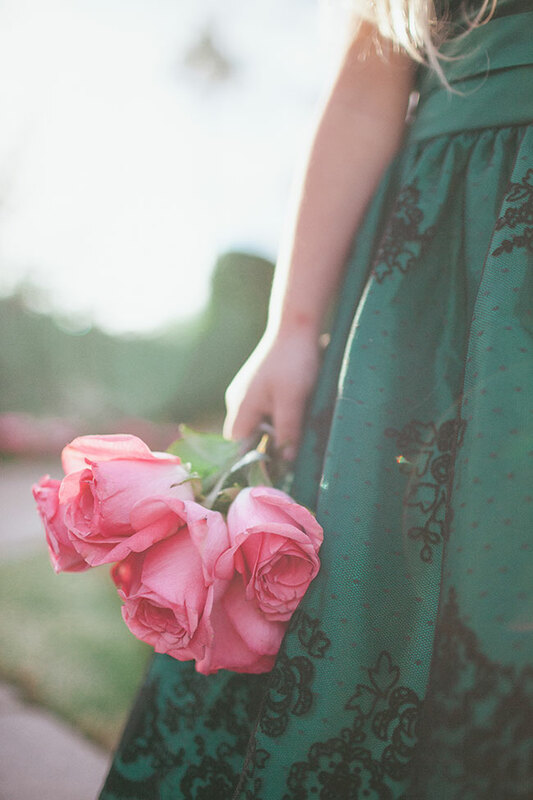 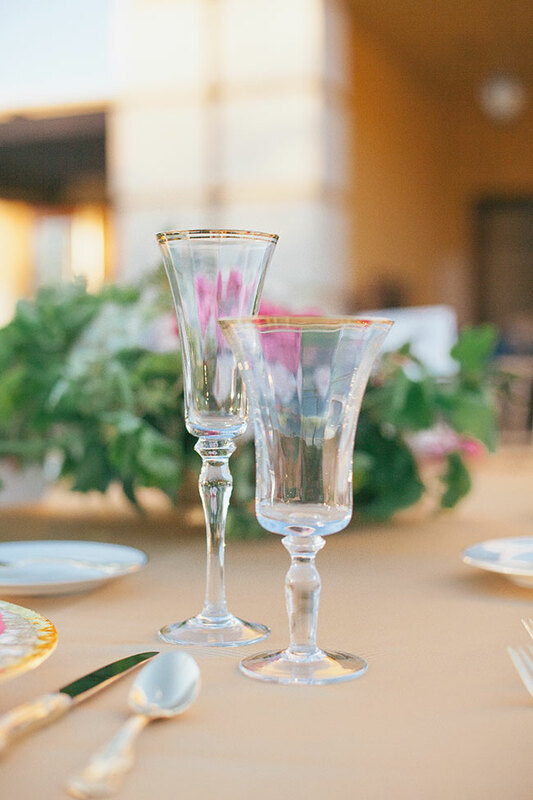 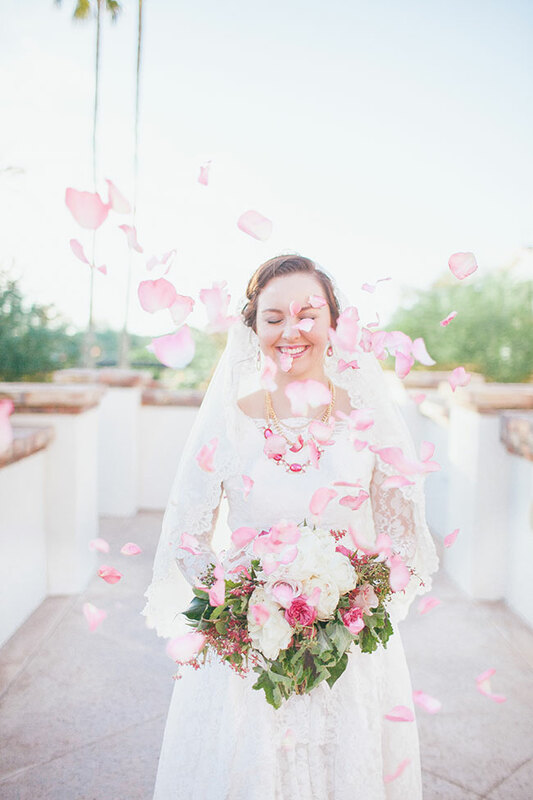 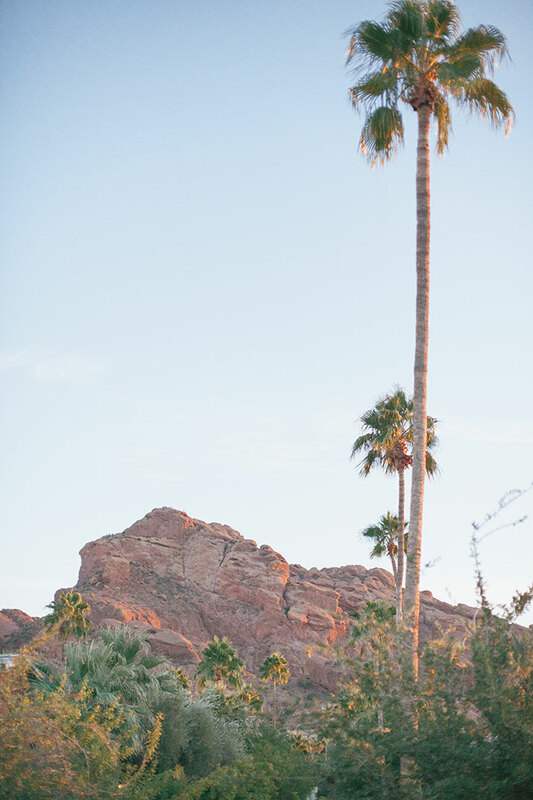 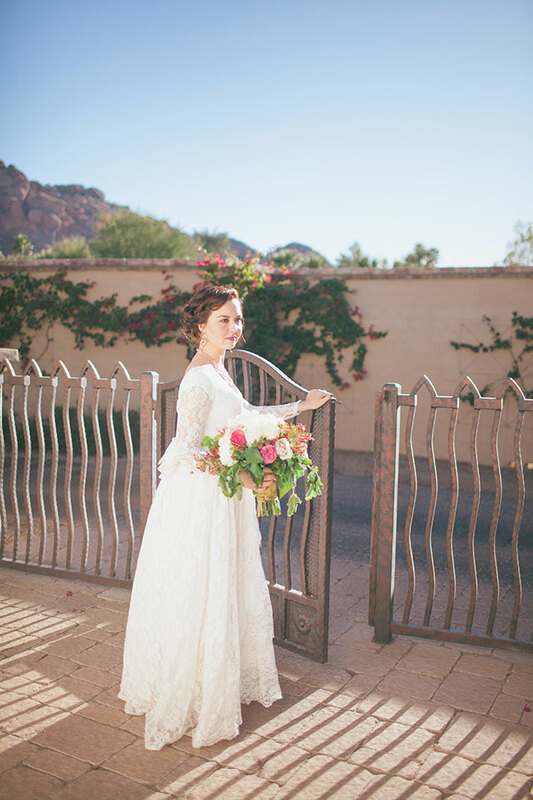 Set at the Arizona oasis of Omni Scottsdale Resort, our styled shoot features not just vibrant detailing, but picturesque views of Camelback Mountain juxtaposed against the gorgeous green grounds. 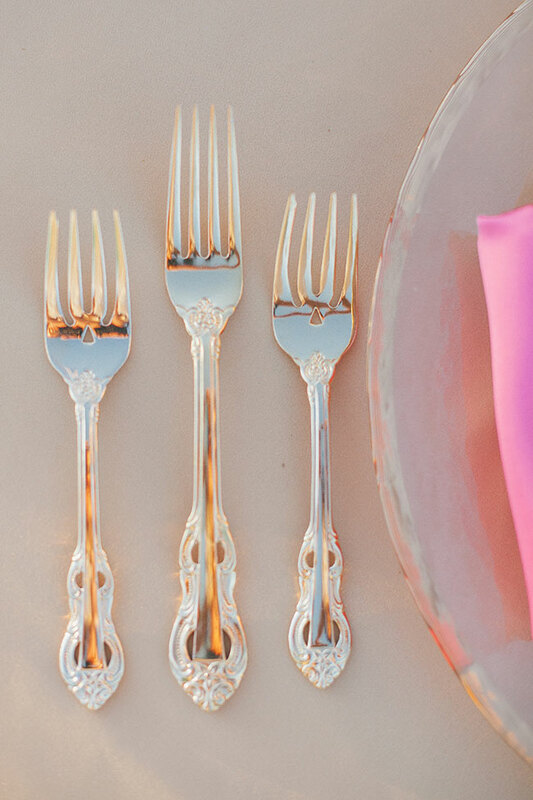 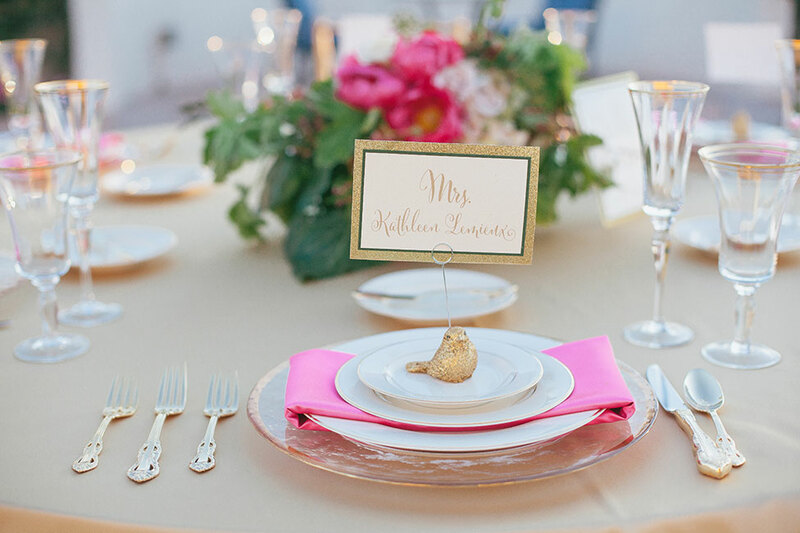 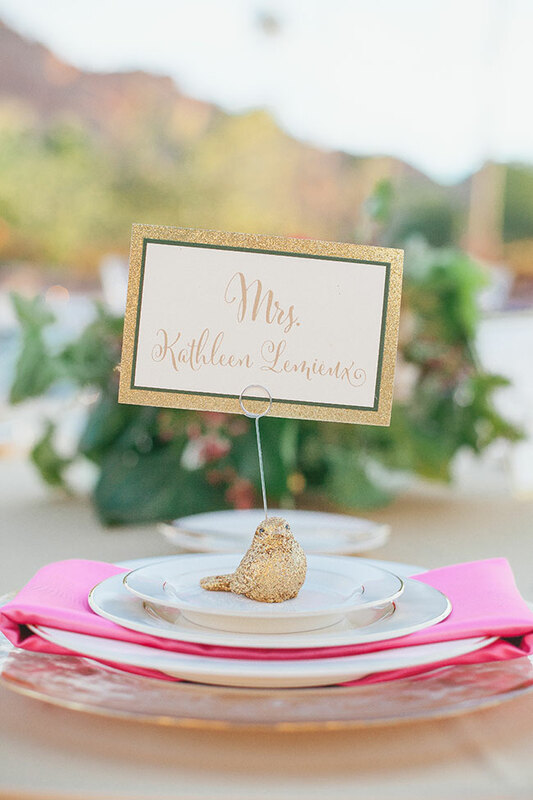 With their sprawling lawns at hand, the crew set up elegant reception tables dotted with details like glass chargers, gold flatware and glitter enhanced dove place card holders that provided glamour and balance. 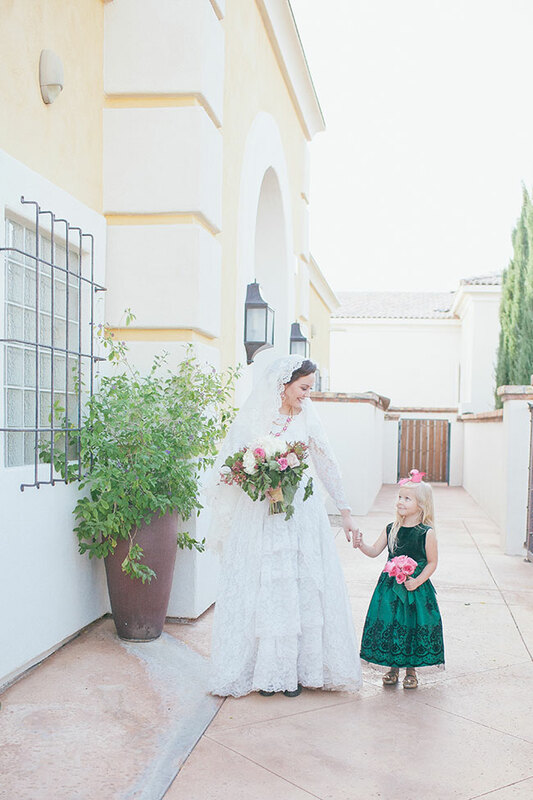 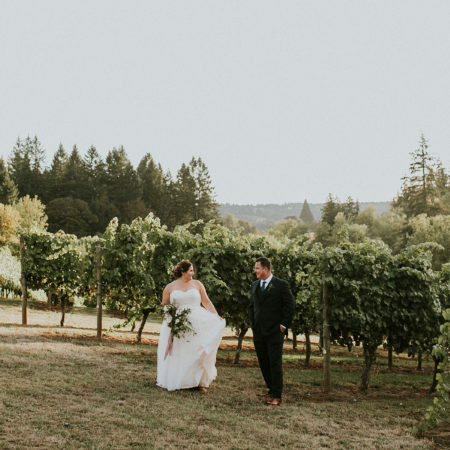 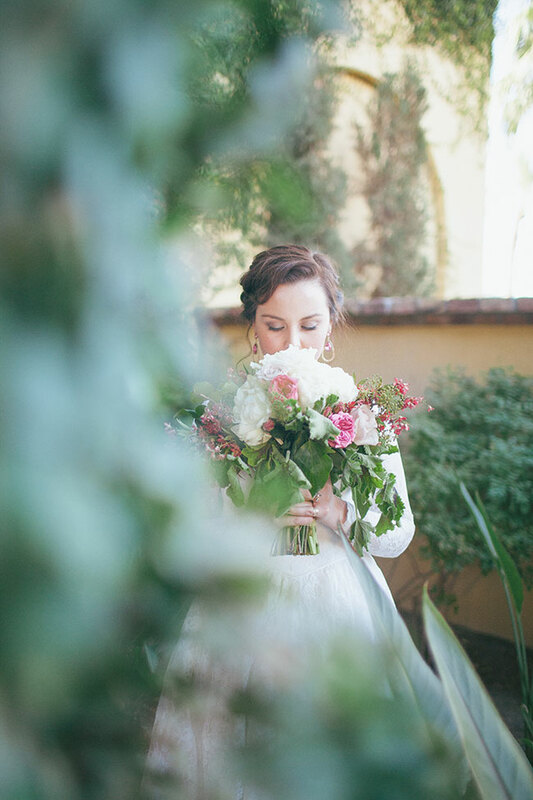 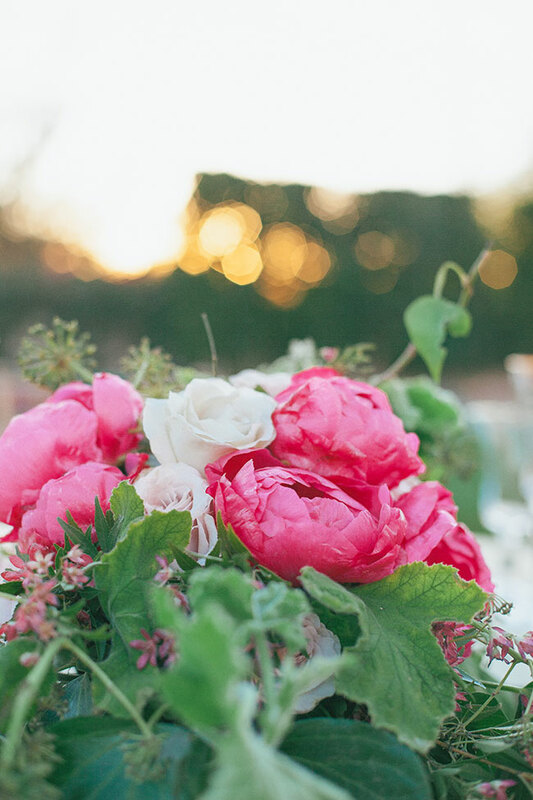 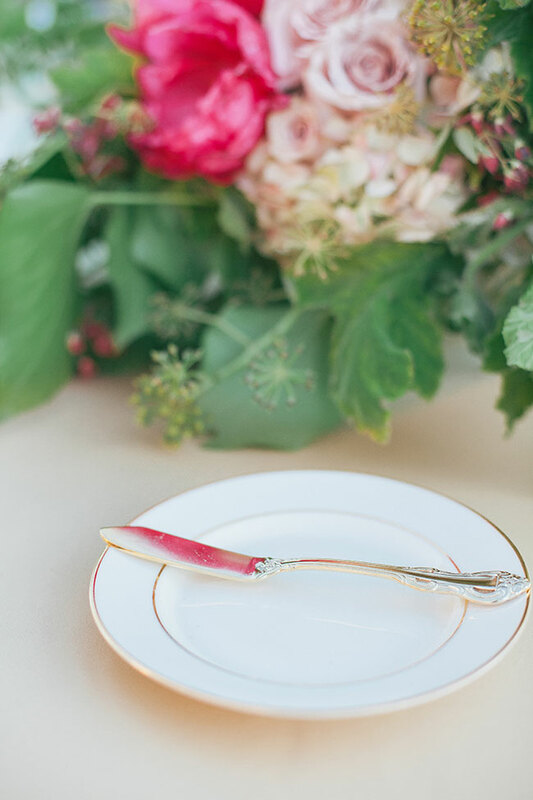 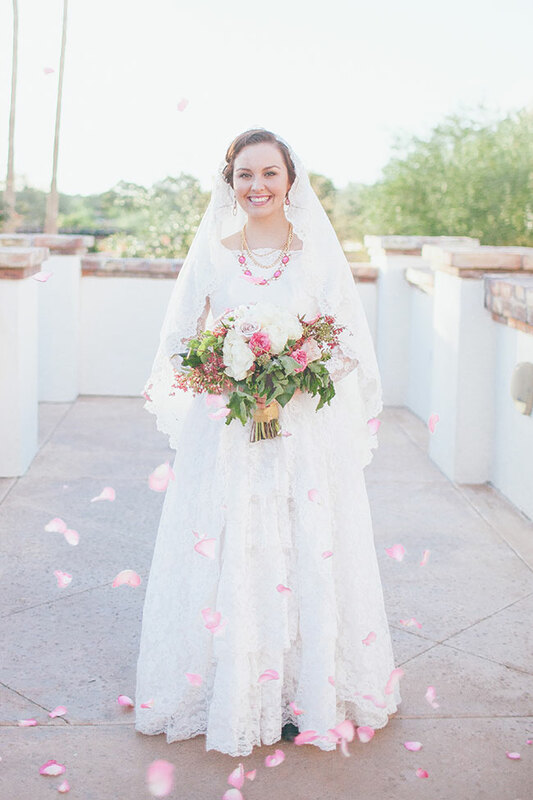 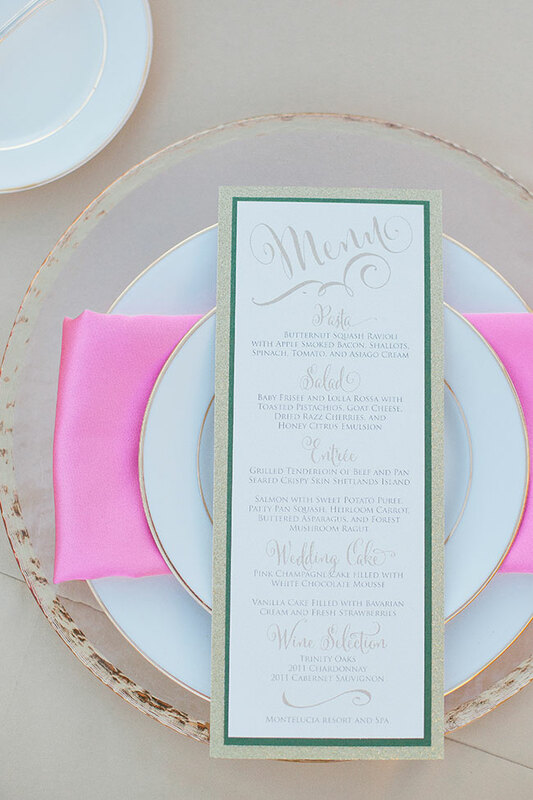 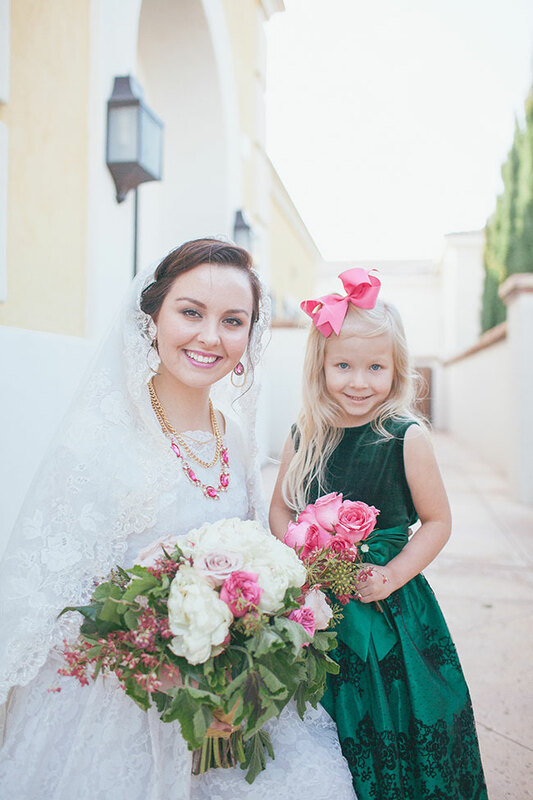 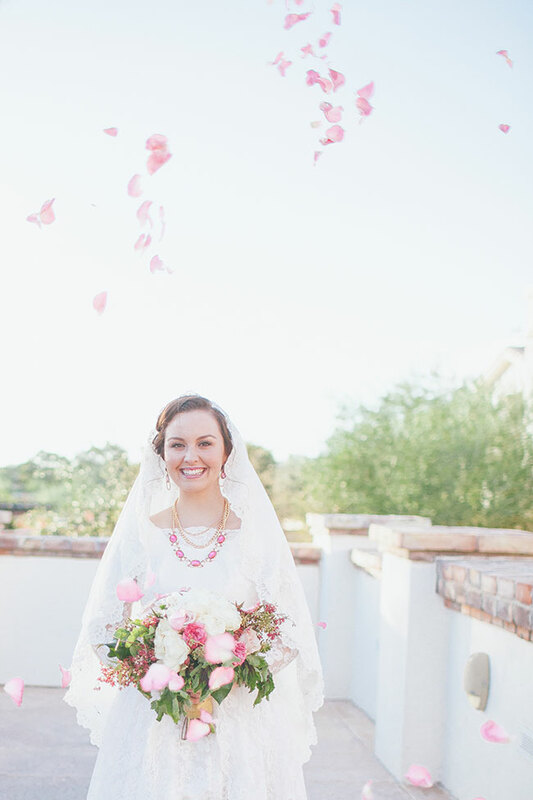 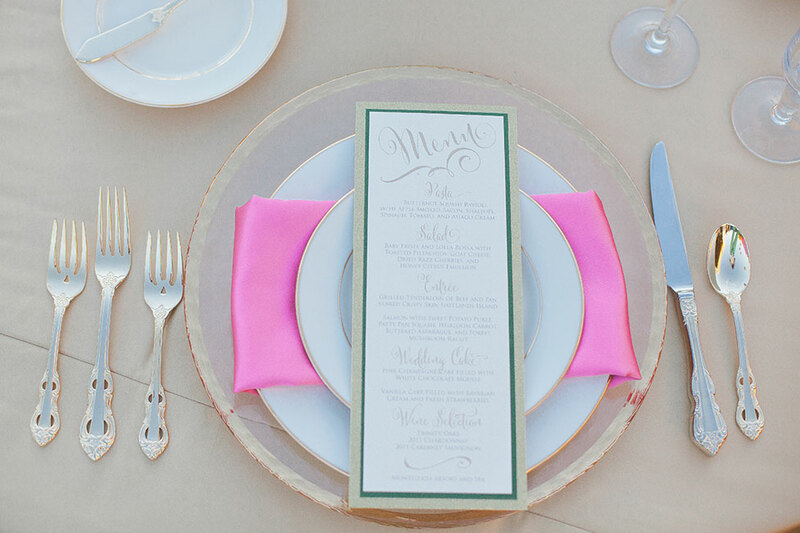 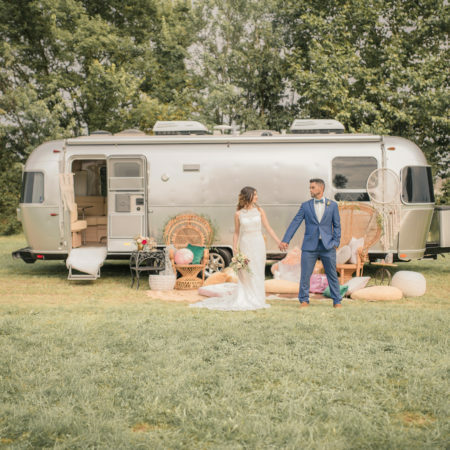 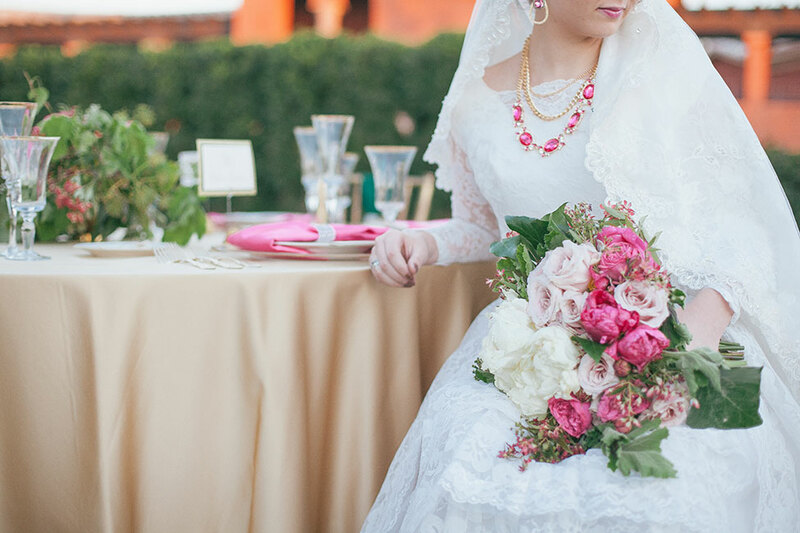 Florals & jewelry, in a wash of bold fuchsia, soft beige pinks and bright emeralds enhanced the southwestern wedding surroundings, injecting a fresh jewel tone vibe. 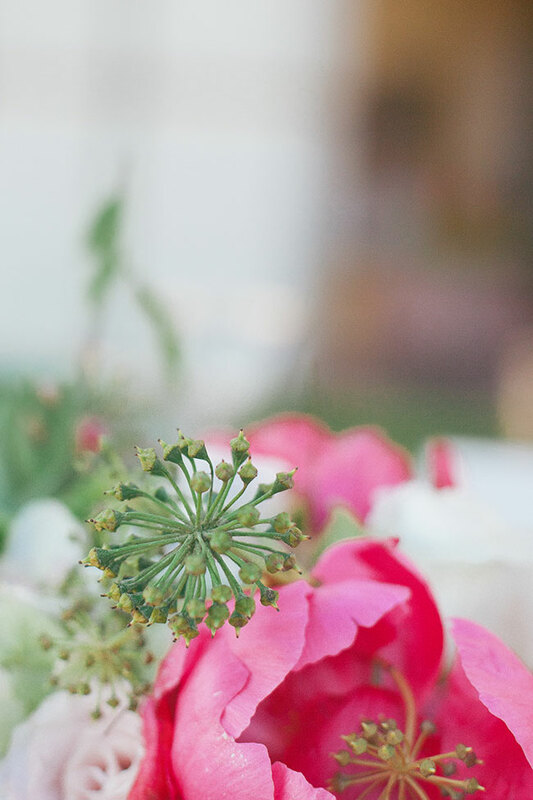 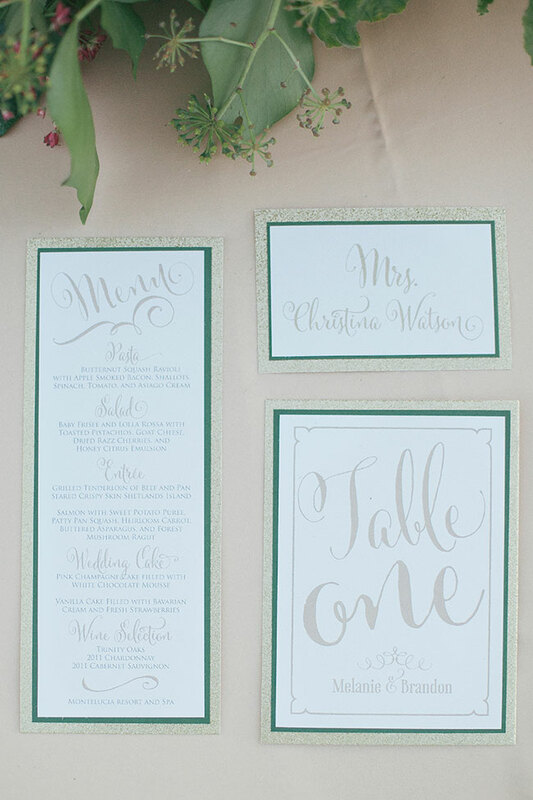 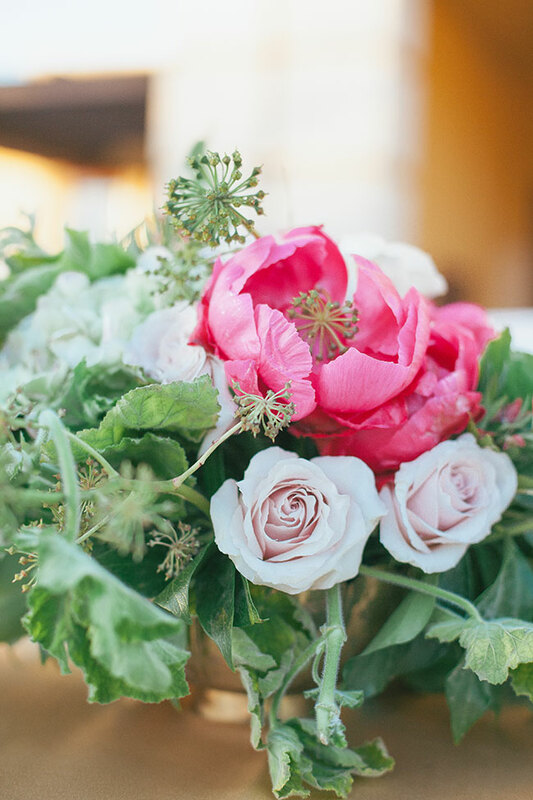 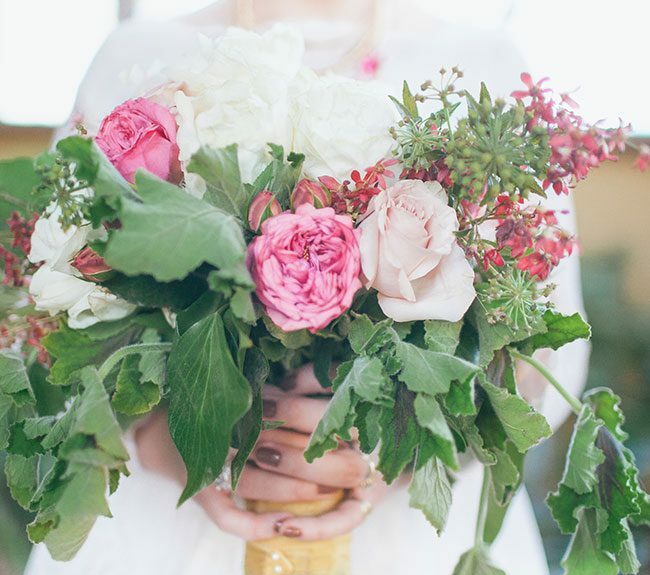 Blooms like peonies, sand roses & astrantia were mixed with draped greens, chosen for their jewel like qualities. 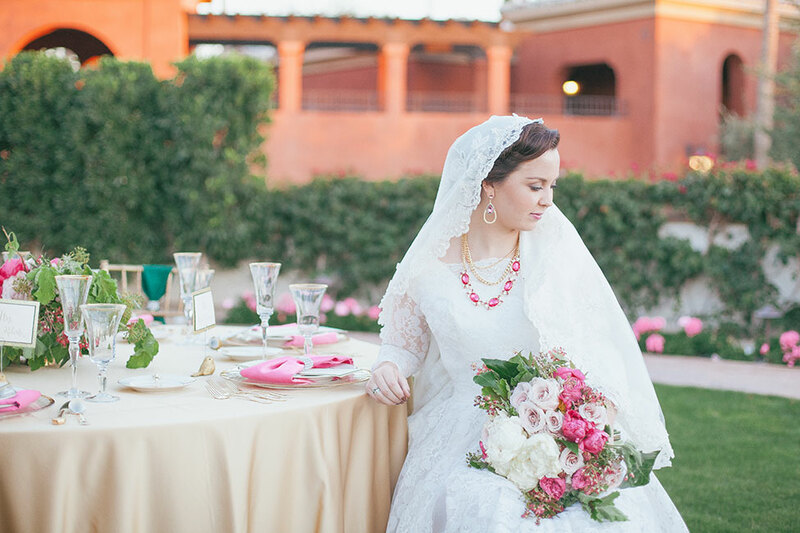 Pink sapphire jewelry served as the most delicious bridal accessory, adding that perfect fashion forward touch to a more classic wedding gown. 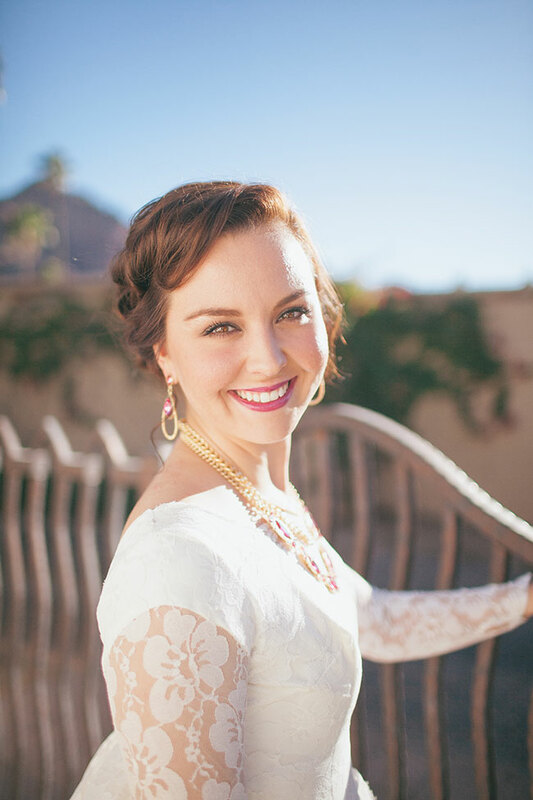 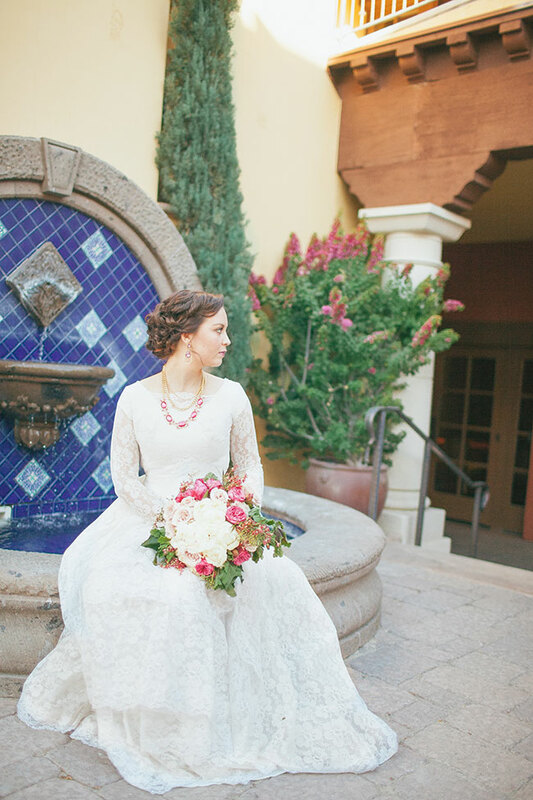 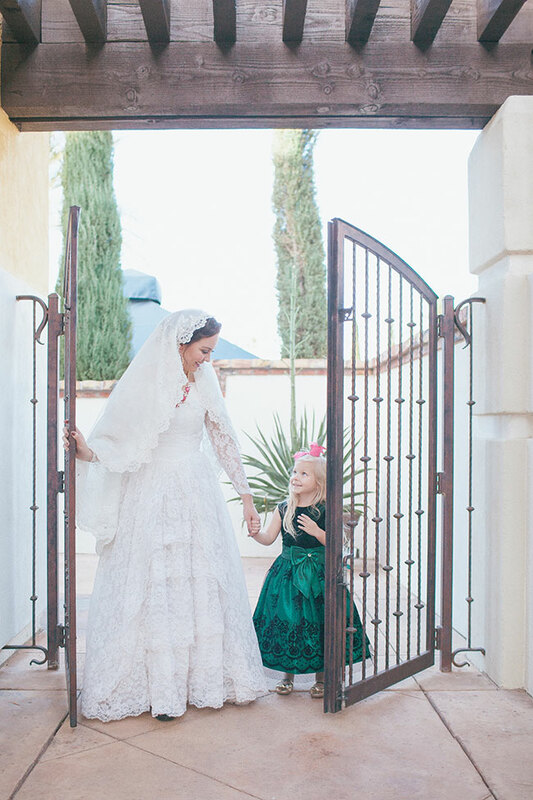 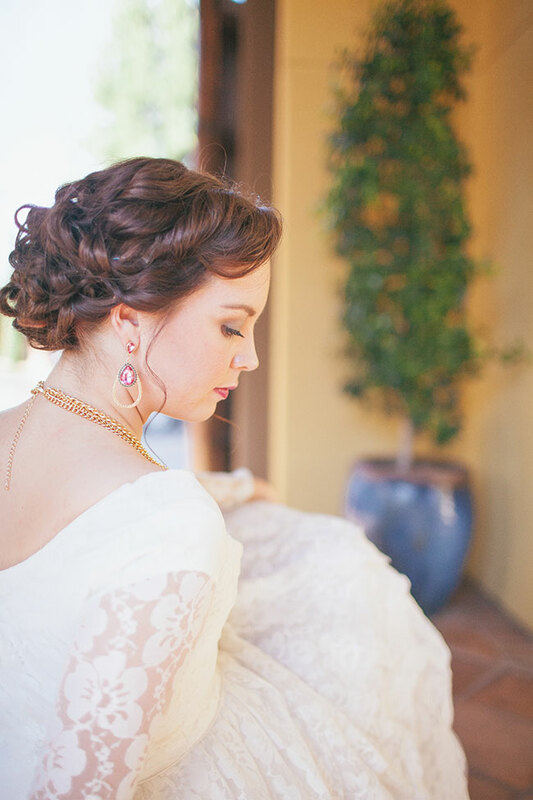 The last detail is our bride’s lace trim veil, one that beautiful echoes the southwestern architecture around them. 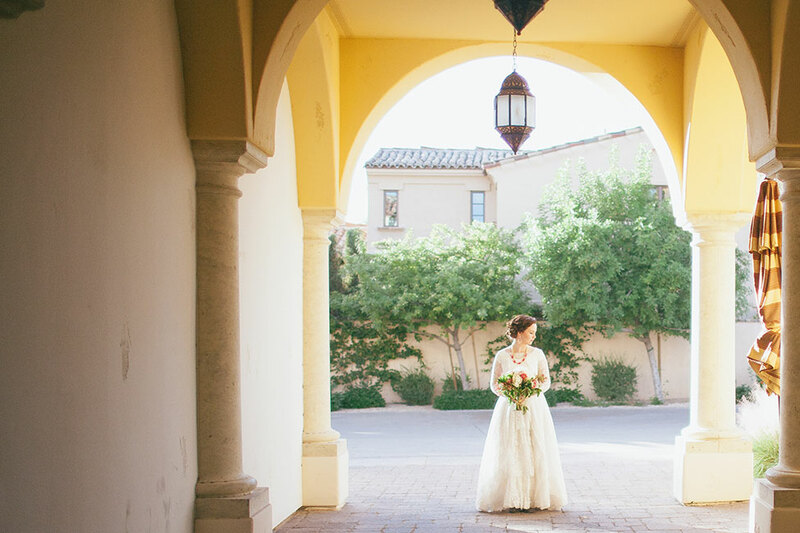 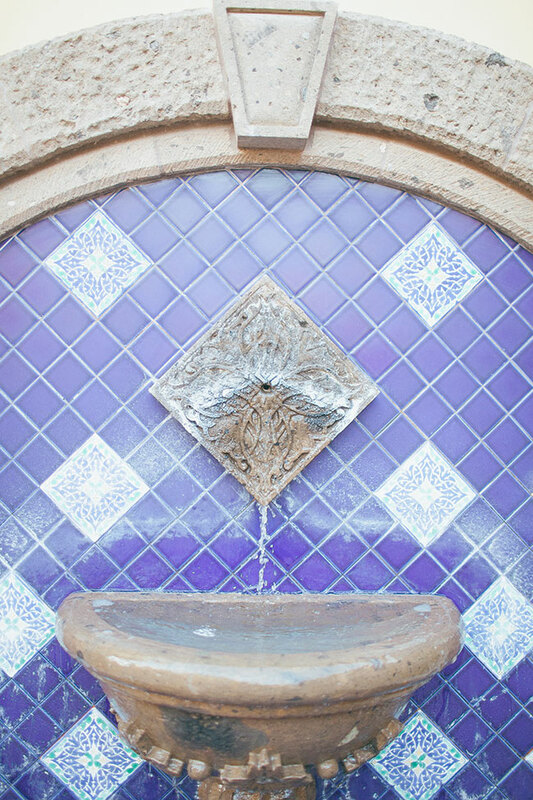 Dialed up in all the right ways, even the most beautiful of surroundings can be enhanced, much like this jewel tone southwest wedding.